This past weekend I went to Food Blog Forum here in Orlando. 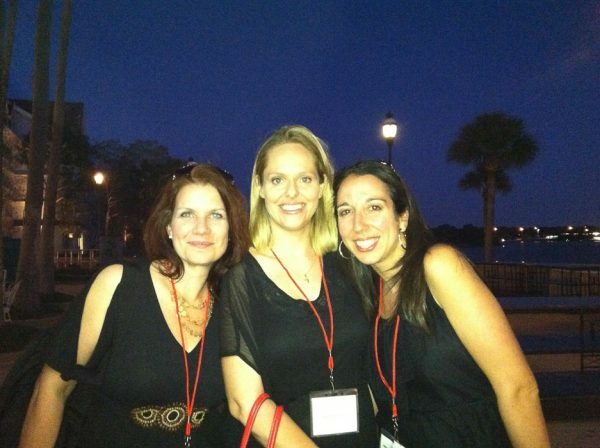 It was a beautiful event that my good friend Julie form thelittlekitchen.net put so much time and effort into. If it wasn’t for her, along with Dawn Viola, the event would not have been possible. I really wish I had gotten more pictures, but I was way too busy chatting everyone up to snap even a few pictures. Oh and did I mention I’m lazy. Whenever I’m with good friends, or even on vacation I am notorious for not taking photos. I really just like to just take it all in, even though I always regret not taking more photos later. Here’s the only photo I did get. Julius is lighting us with his iphone flashlight and Leslie is taking the pic. And that’s me in the middle and Aggie to the right and Denise to the left. The speakers at the conference were incredibly inspirational and so generous with their knowledge. I left refreshed and inspired to keep doing what I love. I did learn many new things I want to put into practice. But the best part of the conference was chatting up all the beautiful women who all have the same passions as me: family, food, and community. And now back to the food. This was yesterday’s dinner, buffalo chicken ranch sliders. 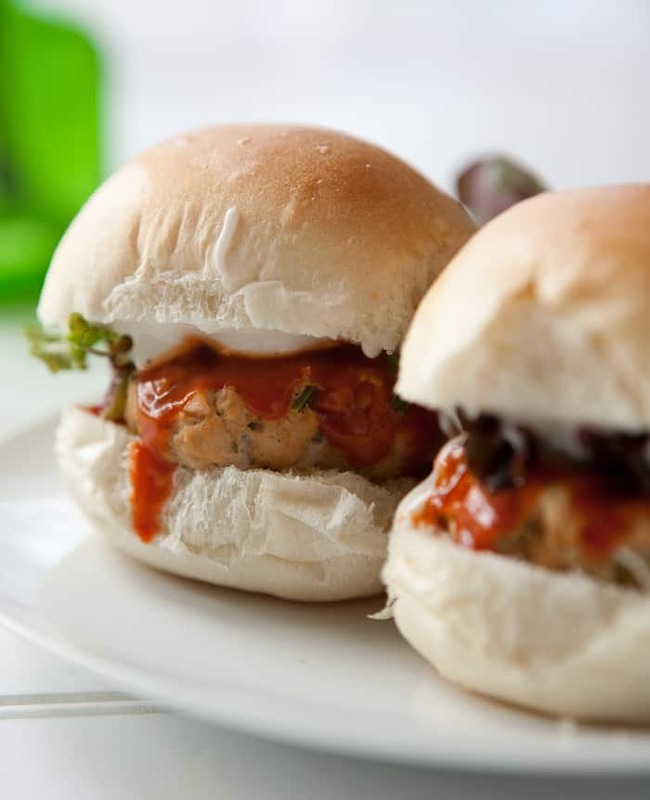 They are simple little ground chicken sliders with buffalo and ranch. I made a couple without the additional wing sauce for my son, and he loved them. Ours were slathered in spicy wing sauce though. They were amazing. Preheat grill or skillet to medium heat. Add ground chicken, chopped onion, chopped celery, ranch dressing mix, buffalo wing sauce, Worcestershire and black pepper to a large bowl. Mix well with hands and form meat mixture into 8 equal patties. Drizzle skillet or brush grill with vegetable oil. Cook burgers over medium heat until done, or the internal temperature is 165°. Serve burgers on rolls slathered with ranch dressing topped with additional wing sauce and fresh greens. I love that picture of you and sweet Aggie. So glad to hear that FBF was such a success! 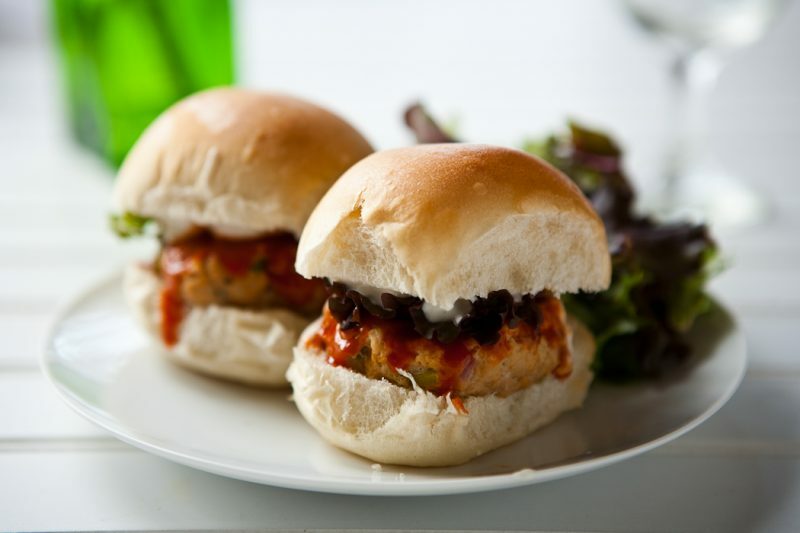 These sliders are a great way to kick off the burger season. I know my family would love these. Slathered in wing sauce is always a good thing! The conference sounded amazing, wish I could have been there! Hello! Someone in my Myspace group shared this website with us so I came to give it a look. I’m definitely loving the information. I’m book-marking and will be tweeting this to my followers! I love that picture of you and Aggie and Denise! Y’all look great and so happy! And these sliders? OMGoodness – they look so delicious! Love that photo of you gals + these sliders look awesome! These look so good! What a cute picture! I am so glad to have met you in person!! These look very good! It’s grilling weather already and I will be trying these soon. I agree with everyone else…such a cute pic of you three! I heard the conference was great and I really want to try to go next year. 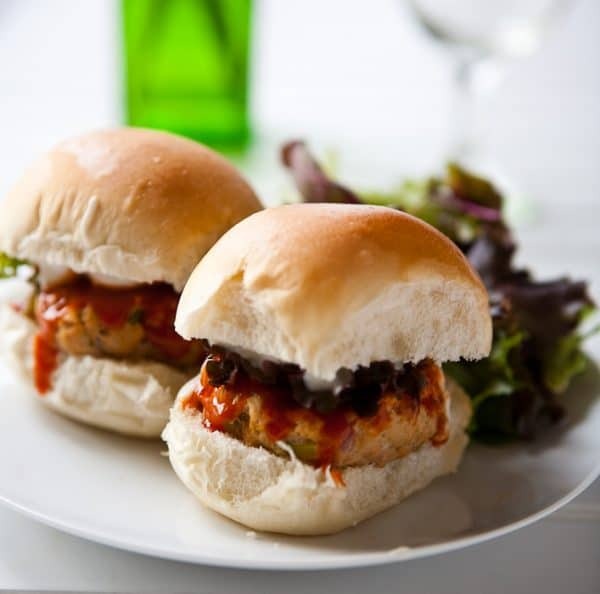 Your sliders look like a great come together quick meal for any night of the week! I love all of your renditions of buffalo chicken because it is one of my favorite things also! You have a new fan! I think this topic is very interesting, especially in the situation we are now and the possibilities that are occurring. very well made, Thank you very much for the information. I will be really useful for all the work we are developing.